Our last show of Spring 2019 is now upon us and what a show it is! We are on our way to the Farm Shop & Deli Show at the NEC Birmingham. Will we see you there? Since we were able to promote a biodegradable (compostable) label alternative to our customers we have seen this area of our business grow rapidly and more and more environmentally conscious companies are choosing to go green. From what our customer are saying, it seems that biodegradable is definitely working for some and we thought we should share our customer experiences for those who are looking to make the change. We have barely had a chance to say farewell to Expowest Cornwall, and what a fab show it was. We are now packed and ready for the next trade show, this time we will be venturing up North for the Fine Food Show! Following a very successful Source Trade Show, we are now packing up to get ready for our next food and drink trade show - none other than Expowest. Sales of UK gin has doubled in value over the last five years and now, with exports, the value sold has broken the £2 billion mark. This is a huge market and with so many gin producers offering us just about every flavour possible to get our juices flowing, how do they stand out from the crowd, in such a competitive market? This year at The Source Trade Show, we will inhabiting Stand F32 and, as always, will have a vast array of labels on display and our very helpful staff will be on hand to answer any questions you have on anything label related. This blog is for those who may know how they want their labels to look but don’t know which printing method could achieve it. So we thought is was time to try and clear up some of the printing jargon you might face! Who do you call when you want your boiler serviced? If you are like us, you would go to the boiler to look for the sticker that was left on it the last time it was serviced and call the same company. But what if there is no sticker! We believe that producers should be recognised and rewarded for their success so when we heard there was a new Award on the block, we couldn't wait to get involved! We are in the trade show mood and off to try something new in 2018 - The Food & Drink Tradeshow. Ready to show all these food and drink potential customers our quality bespoke labels. Is it time to go biodegradable? Is it time you moved to biodegradable and compostable labels? In a nation that is becoming more and more attune to recycling, using biodegradable labels could send a very positive message. We are in the trade show mood and off to try something new in 2018 - Expowest in Cornwall. 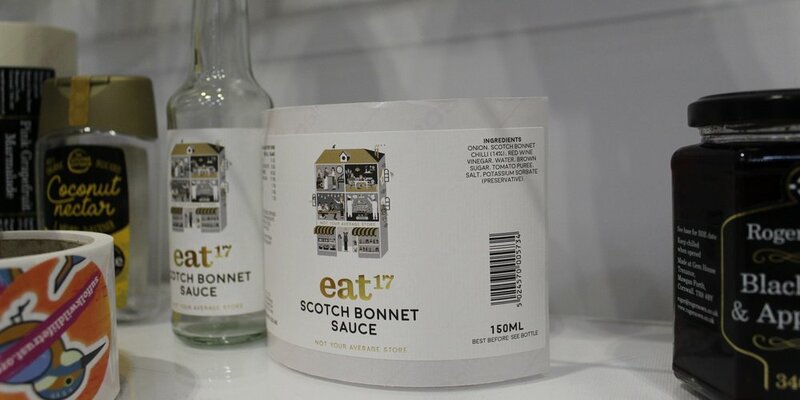 Ready to show all these food and drink potential customers our quality bespoke labels. No Time for the Winter Blues! Love the Flavour? Love These Awards! Although we supply labels all over the world, our roots are in Devon and we are delighted to announce, as their preferred label supplier and sponsor that the Food & Drink Devon Awards 2018 are now open for entries! Is That a Sticker? No, It's a Label! Do our customers search for the word 'labels' or 'stickers'? We are so proud to announce that again we are an official sponsor for the Taste of the West Awards 2018 and of course their preferred award label printer!